‘Tis the season for office parties and holiday soirees, and all of you handsome dudes know that looking anything but your absolute best is out of the question. After all, you’ll need to impress that special lady you’ve been eyeing since Thanksgiving. To give your spirits and wardrobe a boost of confidence, here are the latest styles from Joseph Abboud’s optical collection. 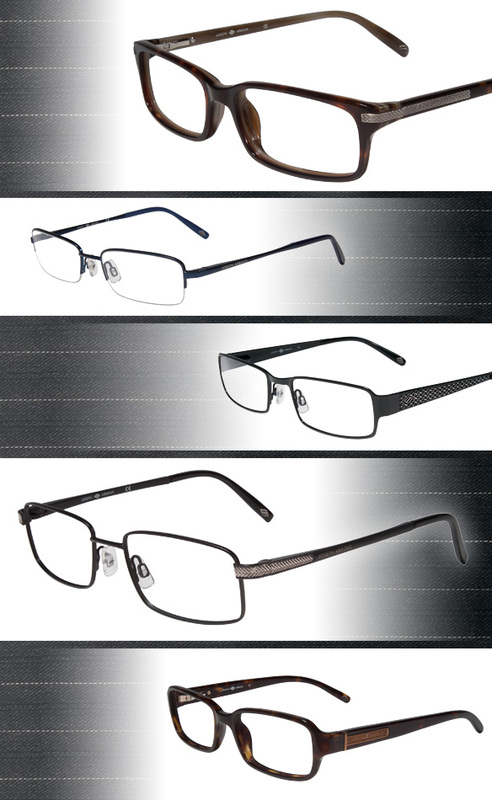 Many of these specs feature jazzed up temples that are inspired by the tweed suits found in the menswear collection. The metal embellishment ranges from subtle markings to a more elaborate design depending on the frame, so whether you’re looking for a bold or more subdued look, these frames have you covered. Chunky geek chic, demure semi-rimless and classic rectangular shapes provide variety, while the careful detailing adds personality to the collection. To top off your get-up –and hopefully score you a smooch under the mistletoe – throw on a pair of Joseph Abboud frames and take on the holidays in style.